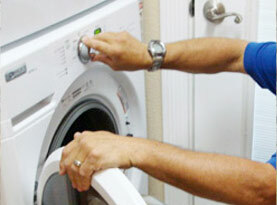 Precision Appliance Repair has been serving San Diego, California since 2008. We have a proven and consistent track record of providing exemplary customer service to homeowners in San Diego, Chula Vista, El Cajon and National City. 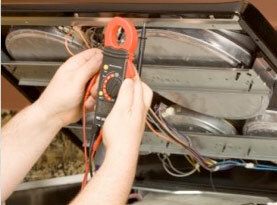 We are the number one appliance repair provider and more than half of our business comes from repeat referrals. We are proud to say our customers are our biggest fans! 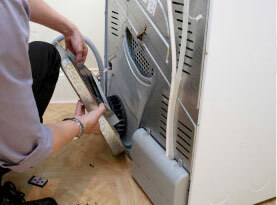 Precision Appliance Repair is fully licensed and insured. We employ only the best of the best appliance repairman – responsible, experienced and friendly technicians we decades of in-depth, hands-on experience with all major makes and models including Whirlpool, Frigidaire, General Electric, Jenn-Air, Kenmore, LG, Maytag, Samsung to name a few. In addition, our employees are regularly trained as new models and technologies are entering the market. Our motto is as simple as it is wise: “Treat the customer as you want to be treated yourself”. 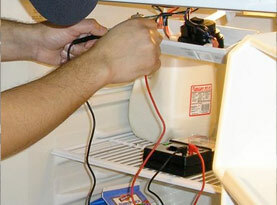 Our services include (but are not limited to): Refrigerator Repair, Freezer Repair, Ice Maker Repair, Range Repair, Cook Top Repair, Electric Stove Repair, Gas Stove Repair, Electric Oven Repair, Gas Oven Repair, Dishwasher Repair, Microwave Repair, Garbage Disposal Repair, Washer Repair, Dryer Repair, Air Conditioner Repair and others.